I have had some great experiences to date and gained superb Results across a range of disciplines. As well as producing horses, I thoroughly enjoy competing and I have been lucky enough to not only have my own to compete but also rides on horses owned by others. Following a crashing fall Roxie and I had around the XC track at Tweseldown back in June 2014, other than the eventing I have done on horses I was producing or competing for clients, I haven't been doing any with my own horses due to various injuries. I would love to get back out eventing but there is no rush and we are looking to do a variety of things for the remainder of 2017 and into 2018, so kepp checking back to find out what we are up to! As well as competing, I am an insured Freelance Riding Instructor and ​, I have been teaching for over 10 years now, starting of assisting at Pony Club rallies and worked hard to build up a strong Client base which is continuing to grow with Clients across a wide range of disciplines. 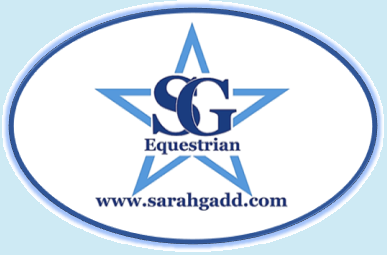 I teach individual and group lessons / clinics at various locations across the South East, for the Pony Clubs / Riding Clubs as well as for private Clients. So if you would like to arrange a lesson please do not hesitate to Contact Me. ​I also produce Horses and Ponies up to competition level, either for sale or for my Clients to compete. Please see my Services page for more information on what I could do for you!